Third Place this week goes to this bizarre story out of California: California Man Arrested in Killing of Girlfriend with Cannon. Richard used a homemade canon to kill his girlfriend inside their mobile home (read: trailer). Richard was treated for non-life threatening injuries that he suffered in the explosion in the confined trailer. Yes, alcohol was involved. No, the police are not giving a reason that Richard was upset with his girlfriend. At least Richard will have a story to tell for the rest of his life in prison. This is California, however, so I guess there is a good chance that Richard might get an understanding jury like OJ did. Second Place goes to this amazing story from Egypt: Kite Surfer Kills Red Sea Sharks, Fights Exhaustion While Stranded. 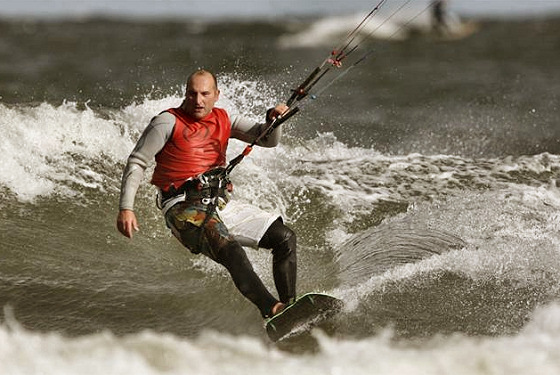 World Champion Kite Surfer Jan Lisewski, was attempting to cross the Red Sea. The winds did not cooperate, however, and Jan was left stranded in the Sea for two days, surviving on energy bars. Jan used his kite as a raft and was hoping that someone would come to his rescue. Before that happened, though, Jan was attacked by at least 11 sharks, some as long as 18 feet. Normally, Jan would have been at the shark's mercy but his brother had urged him to take a knife with him on this trip. Jan used the knife to stick and stab any shark that got too close. He said he stabbed them in the eyes, nose, and gills. The fight lasted all night long before the sharks decided there were probably easier meals to be caught. Jan was rescued the next morning and is expected to try and cross some other body of water soon. This weeks winning story is from the great state of Iowa. 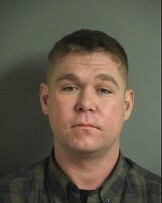 Iowa Shoplifter Accused of 'Criminal Mischief with Cheese.' Blake was caught on camera in a grocery store shoplifting cheese dip, chips, and beer. He took his stash into the men's room and had his snack. After he had eaten his fill of chips and cheese dip, Blake took the extra cheese and spread it on the walls and floor of the men's room. When the police questioned him later about why he would do such a thing, Blake said, "I thought it would be funny." Blake, pictured at the left was charged with Public Intoxication, Theft, and Criminal Mischief. Yep, Blake, pretty funny!